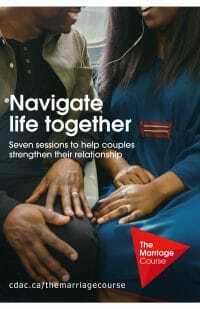 Seven session to help couples strengthen their relationship. While this course is named The Marriage Course it is actually designed for people living together, engaged couples or people who have been married for a while. Regular check ups help a car run smoothly and reduce the risk of breakdown. Sports professionals spend hours being coached and perfecting their techniques. It’s the same with marriage … A strong, loving, and lifelong relationship doesn’t happen by chance. It takes effort and dedication to keep the fun and romance alive. We can all learn how to make even the happiest marriage better. Practical talks that are informative and fun, either given live or played on DVD. We are currently in the middle of a marriage course session but keep an eye out for our upcoming marriage course dates by checking back here! Until then, take a look at our marriage mentoring!